You’re ready to throw in the marital towel and separate from your partner. But you still have lingering doubts about whether or not divorce is the correct choice for you. Have confidence you’re making the right decision with discernment counseling from William J. Ryan, Ph.D., Psychologist. You and your partner will sit down with Dr. Ryan for an intensive session where you’ll dig deep into your marriage to determine the reason for your turmoil. Dr. Ryan uses traditional and non-traditional therapeutic techniques to help you determine whether separation or reconciliation is the right path. Schedule an appointment today for discernment counseling in Brooklyn, NY, by calling (347)244-5720. 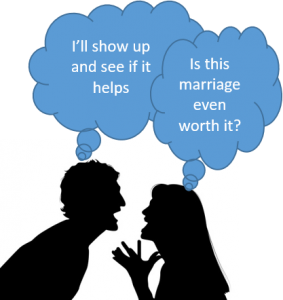 Through discernment counseling, you’ll find out if you and your partner should move forward in your marriage and work out the underlying issues. If you discover that couples counseling not your best option, Dr. Ryan can help you have a peaceful separation with divorce counseling. Dr. Ryan will support you and your partner through any decision that you make, and whether you choose to move forward down either path we are here to help. After discernment counseling we will help you take the next step toward either divorce counseling or couples counseling. Start investigating your options as soon as possible – make an appointment now.